With the general election less than a week away, Minnesota employers need to be mindful of the state’s voting rights leave law. In Minnesota, an employee has a right to paid time off to vote. State law gives employees the right “to be absent from work for the time necessary to appear at the employee’s polling place, cast a ballot, and return to work.” Generally, an employer may not dock pay, personal leave, or vacation for voting leave. An employer who “refuses, abridges, or interferes” with an employee’s right to voting leave is guilty of a misdemeanor. Here are some suggestions on managing employees’ voting leave rights, with a minimum of disruption to your operation. Advance Notice. The voting leave statute does not prohibit employers from requesting advance notice of absences for voting time. 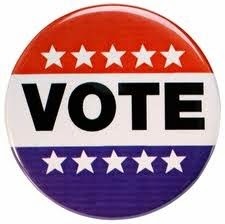 You may want to send out a notice to employees stating that time off to vote must be arranged in advance in order to coordinate absences and minimize disruptions. Employer Request to Vote on Non-Working Time. Similarly, employers are not prohibited from requesting that employees vote on non-working time. There is a significant risk, however, that doing so might be interpreted as interfering with an employee’s voting leave rights. Thus, any such request should make very clear that it is not a requirement, and that there will be no repercussions from the employer for employees who choose to vote on paid working time. Voting on Non-Working Time. Employers do not have to pay voting leave to employees who are not scheduled to work on election day or who actually vote outside of working hours. Reasonable Time Away. The state statute does not contain particular time limitations, so it is permissible to limit paid voting leave to a reasonable amount of time. What is reasonable will depend upon individual circumstances, such as how far away the polling location is from the work facility and whether the employee’s polling place is in a densely populated area that results in long lines, or a rural area with less wait time. If any part of an employee’s shift takes place when polling places are open, the employee probably has the right to paid voting leave. Notice to Employees. Employers are not obligated to notify employees of the right to voting leave. However, communicating in advance with employees about voting leave and related policies may not only help increase civic engagement, but it will also likely minimize workday disruptions. Voting rights laws vary from state to state. Employers should ensure that they are familiar with the laws of each state in which they employ workers.